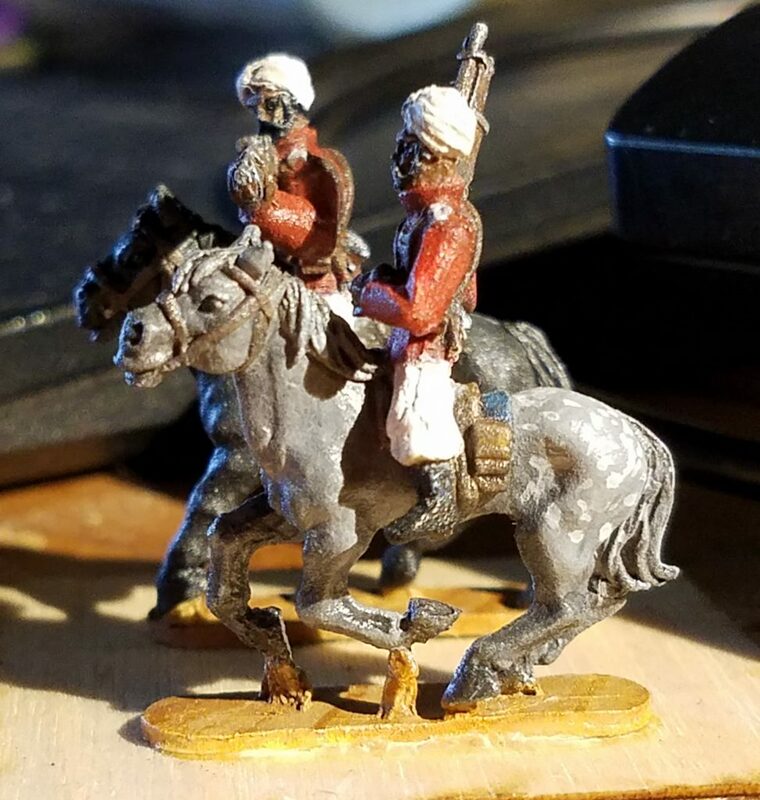 1879 Line Developers Blog: Minis Photos – FASA Games, Inc.
1879 does in fact have a Minis combat side, with a core rulebook and 18mm lead free pewter minis made by Ral Partha Europe. 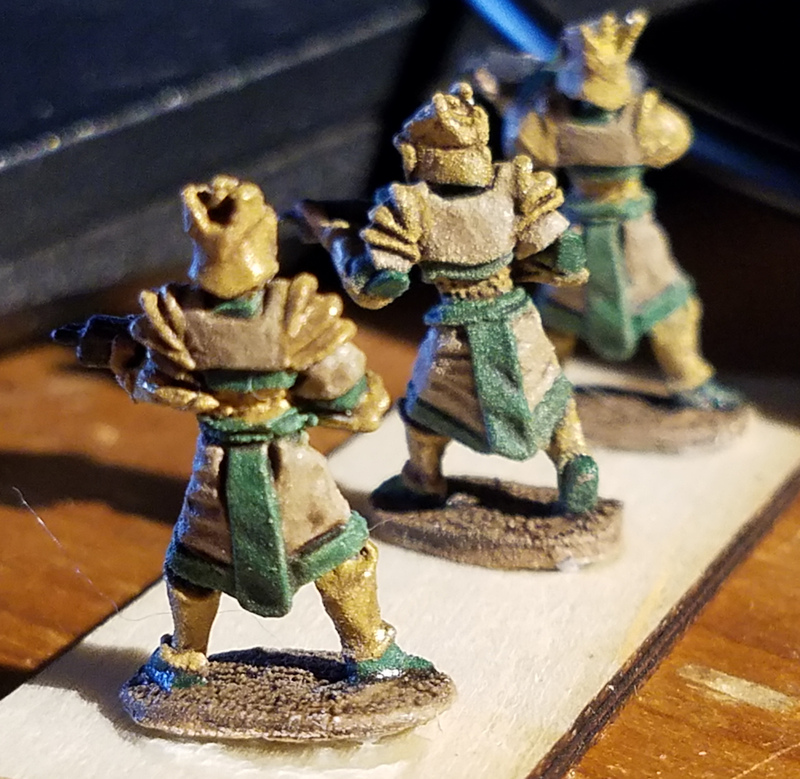 I’m still learning how to photograph minis, and so the depth of focus on some (most) of these shots is not the best. However, that said, let’s have a look at some of the line developer’s collection. Painting was done by Sarah Kelley, who can be found on Simbi or Facebook. 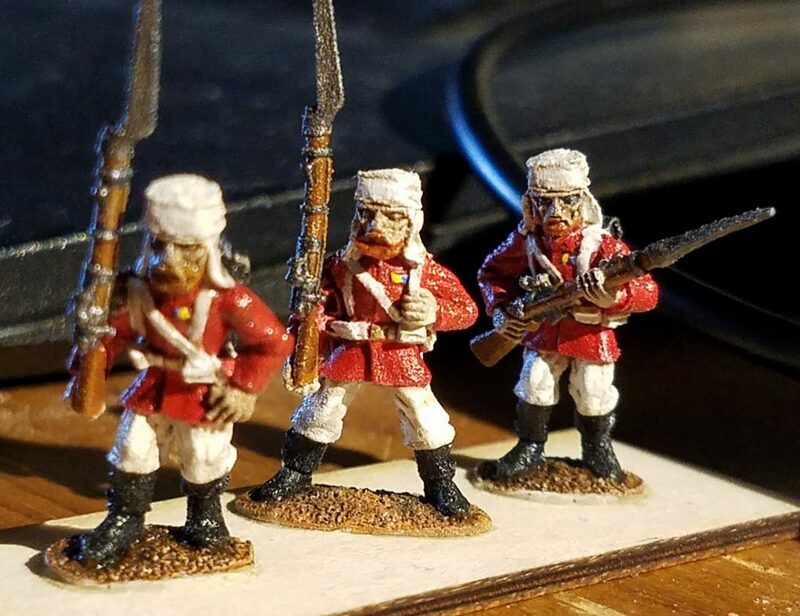 We’ll start with the British infantry. 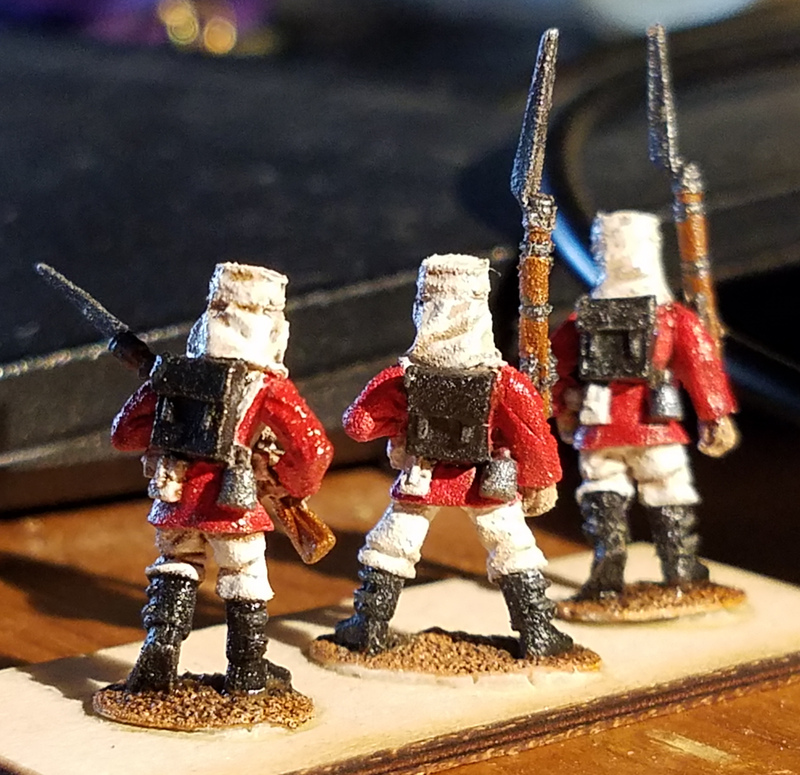 These men are wearing the redcoat uniform, which has persisted into the late 1870s and early 1880s in our game world. We’ll migrate to khaki field dress in a later book. A view from behind the stand, so that you can see the details of field kit. The sculptor seriously put some effort into these, as did the painter. 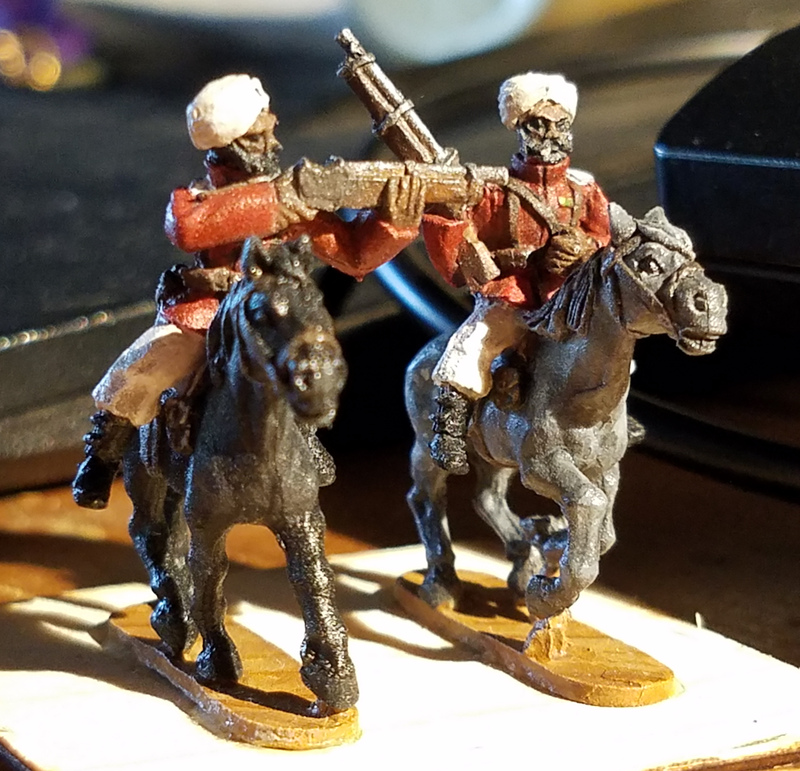 Of course, there has to be cavalry. Ours are regularized Sikh troops. 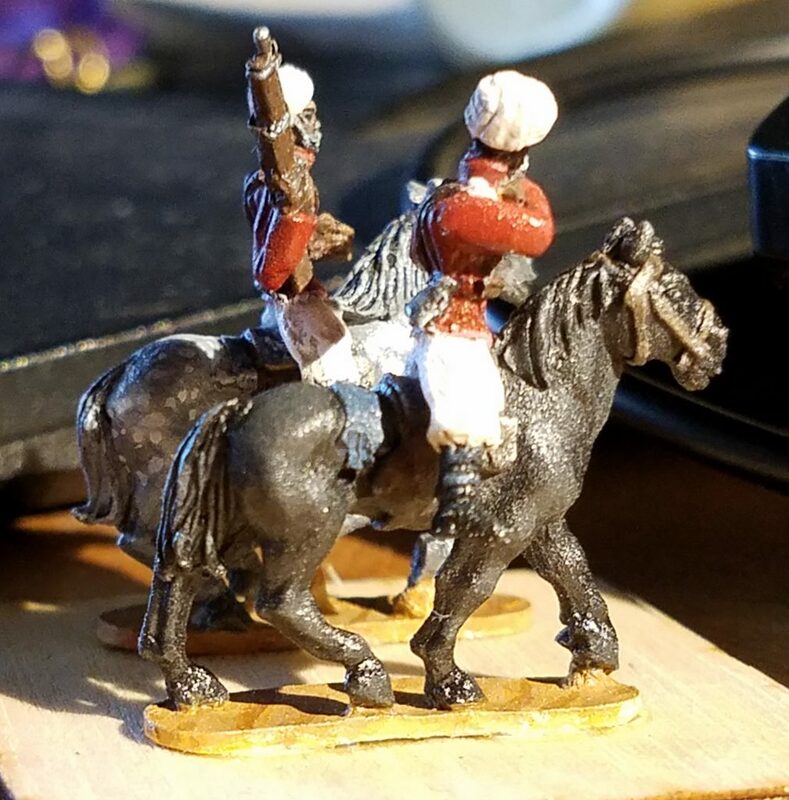 Three photos required here, to get the detail of tack and equine coloration as well as the sculpt details on the soldiers. The primary foe in the core rulebook are the Samsut. While our posters and book covers have largely focused on the battery powered undead that the Samsut field as munitions and shock troops, there’s live soldiers behind them. Here we have three Mushkenite (mid caste) railgunners. The one on the end doesn’t seem quite certain as to what the other two are doing. Pic from the back so you can see the detail of their uniforms. Samsut forces went to dryland brown centuries ago, with trim in the color of their city-state. Details on that will be in the Samsut forcebook, which is in (hopefully) final draft. 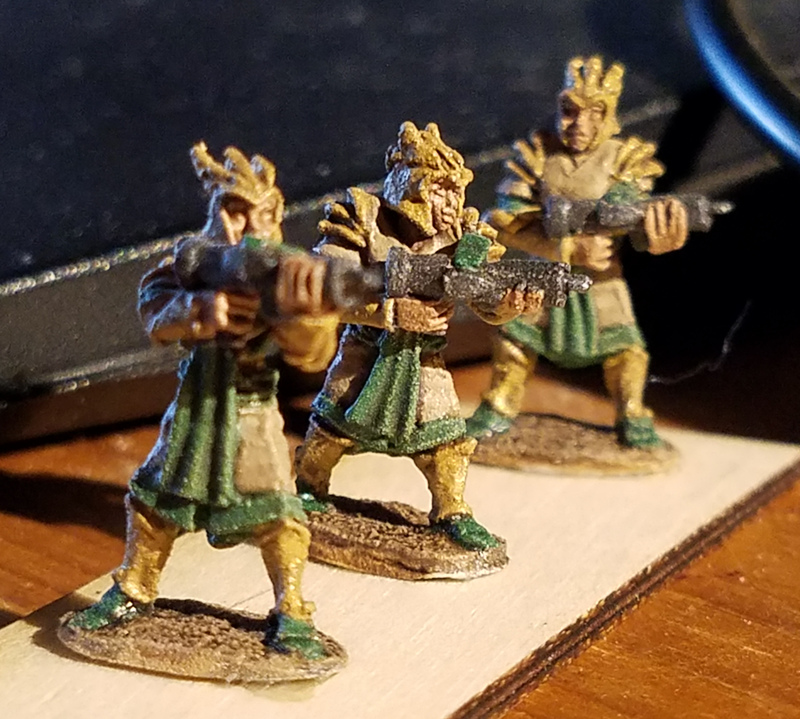 More minis photos later on, as we get the forcebooks into layout and art phase, and as we get more minis back from the sculptors.